A companion that is as elegant as it is progressive for daytime or evening use. 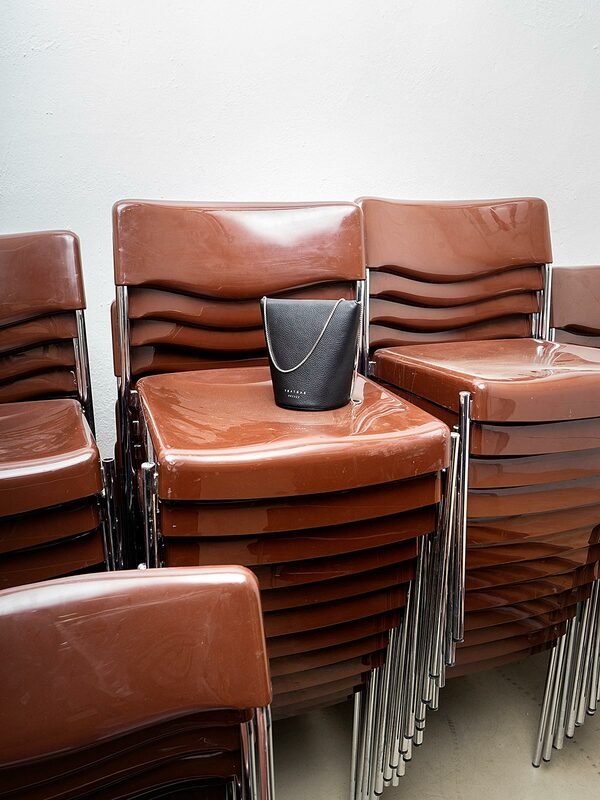 With OLIVE, TSATSAS is introducing a shoulder bag with a minimalist look and surprising feminine details. Minimalist and at the same time sculptural – shoulder bag OLIVE immediately cuts a striking figure within the TSATSAS label collection. The purist lines of OLIVE’s body contrast with a filigree brass chain made in Italy in a style borrowed from the craft of jewelry-making and that provides a feminine touch. Its unconventional shape lends the small bag an unmistakable appearance and makes it an elegant and progressive companion for day and night. The designs of Esther and Dimitrios Tsatsas have been shaped by their backgrounds in Architecture and Design and demonstrate an affinity for strong shapes, for construction and for geometry. Their collection of hand-made leather bags and accessories, which has been growing since 2012, characteristically features designs that go beyond the established rules of fashion and represent something entirely new and free from all aesthetic restrictions.